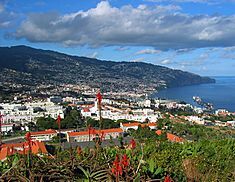 Funchal is the capital city of Madeira, part of Portugal. 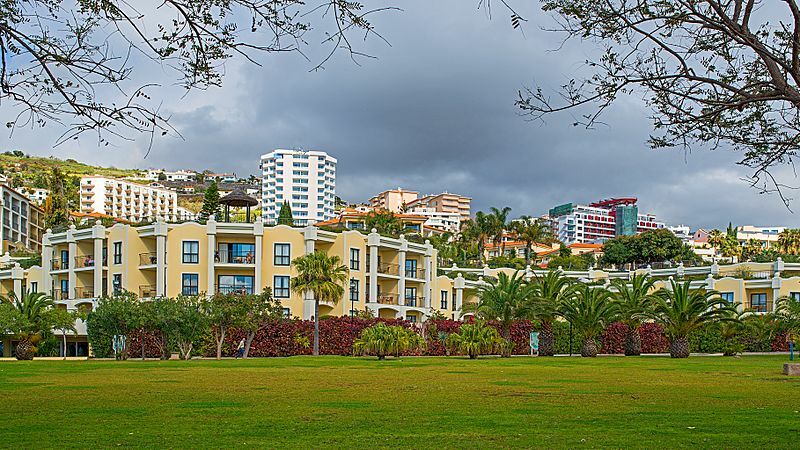 It is also the largest city of Madeira with 111,892 people. Funchal is in a valley. It has even temperatures all year round. There is a rainier and slightly cooler season from October through March. A drier and warmer season lasts from April through September. The harbour of Funchal used to be the only major port in Madeira. In 2007 cargo trade was moved to the port of Caniçal, 12 miles to the east. Funchal still serves cruise ships, ferries, and other tourist-related boats and yachts. A highway to Câmara de Lobos and Ribeira Brava is to the west. Santa Cruz, Machico and Caniçal can be reached to the east. Madeira Airport is east of the city, in the municipality of Santa Cruz. 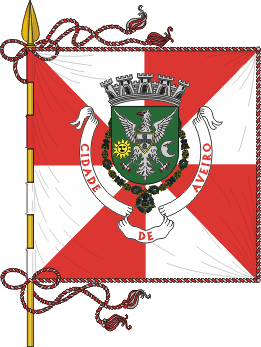 Funchal Facts for Kids. Kiddle Encyclopedia.